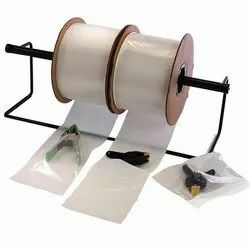 Providing you the best range of auto fill poly bags, pre opened bags on roll and pre opened auto fills bag with effective & timely delivery. 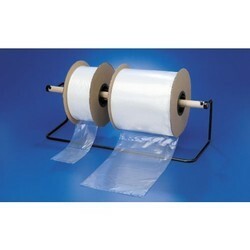 We are one of the leading manufacturers and suppliers of Auto Fill Poly Bags. The offered auto fill bags are made from resin material for ensuring extra strength and durability. Custom options are also available for our pre-opened bags on rolls. These include multiple colors (tint and opaque), special perforations, venting and hang holes, headers, UVI, VCI and printing up to 8 color process. These Pre Opened Bags are open on one side for simple item embeddings and punctured on the back for simple detach. These pre-opened plastic bags are perfect for high volume bundling tasks. Made with a tubular development and a strong base seal, these sacks have an opening in front and a punctured back for programmed or quick hand item stacking. Our pre-opened packs are conveniently twisted on 3.5 inch centers. 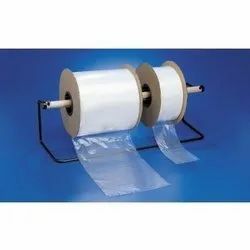 Pre Opened Auto Fills Bag offering by us are considerably utilized for high volume packaging necessities, these are one sided open for insertion of products and are compatible with all type of packaging machines. We offers these bags at reasonable cost and in finest quality that is best in class. Our pre opened bags are of linear low density metalocine also ensures better heat seals when used with our semi automated machines manufacturer and supplier of these pre opened auto fill bags in Delhi, New Delhi, Rewari, India. These automated bags are exclusively made up with resin for extra strength which of bagging. We fully satisfy FDA and USDA norms for our product. We are well known makes them compatible with all automatic packaging equipment.our polybags are pre-opened for easy loading and feature precise perforation for easy separation and also work properly for manual applications. The bags we are offering are precisely usable for food applications since these are produced with hundred percent virgin low density polyethylene. Our polybags are available in various sizes and prints as per requirements of customers.